It’s the weekend. Do you know what that means? Time for the Weekend Zombie Film Fest. 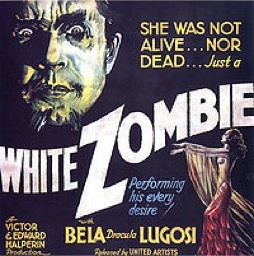 These are the good ol’ zombie flicks from way back when: White Zombie, King of the Zombies, Teenage Zombie … courtesy of AMC, the folks who bring you The Walking Dead. Sit back in your recliner, pour yourself a favorite libation and spend the day in the land of the living dead. Mmmmm, now that’s a weekend well spent.